Like so many deals before it, Chicago's new transit privatization deal is screwing everyone but the corporation behind it. In recent years, Chicagoans have been forced to endure more than our fair share of privatization deals gone awry. In 2005, the city privatized a highly trafficked toll-bridge and now it’s the costliest stretch of road in the country. In 2008, city hall rammed through a deal that turned over Chicago’s parking meters for seventy-five years to a coterie of big-money investors lead by Morgan Stanley. The new private owners quadrupled parking rates weeks after the deal went through, and the city has to pay them for lost revenue whenever the streets are closed for parades or block parties. Then there’s the long-term project of shutting down the city’s public schools and turning them over to scandal-prone private operators who stand accused of using millions of public dollars for personal gain. But while these privatization debacles have been hard to stomach, Ventra — the new, privatized fare collection system for transit in Chicago — has been nothing short of a complete disaster. Unlike the old magnetic strip fare card system, Ventra requires riders to purchase a prepaid debit/credit card that doubles as a transit pass. Whereas fare collection has been under public control for the entire lifespan of the Chicago Transit Authority (CTA), officials recently signed a $454 million deal to turn over fare collection to Cubic Corporation, a multinational firm which, in addition to causing transit fare headaches all over the world, is also a major player in military equipment manufacturing. 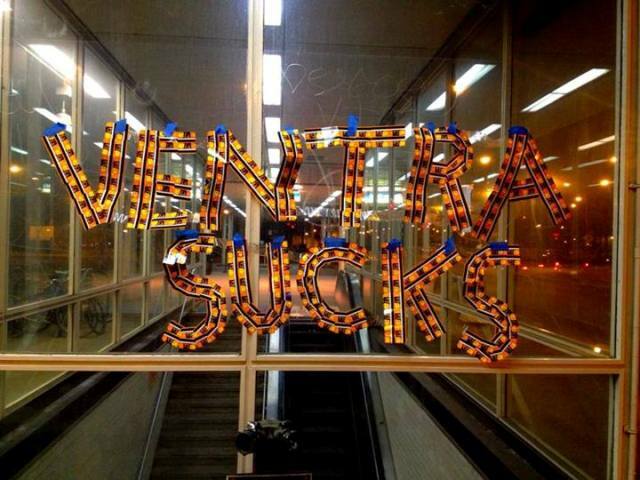 Since Ventra went live this fall, nearly every aspect of the new system has been a fiasco. Transit riders are routinely double- and triple-charged for fares, only to find that the process of sorting things out — waiting more than thirty minutes (on average) in the hopes of speaking with an overworked out-of-state employee in a call center — is often worse than throwing in the towel and moving on. A few weeks back, news broke that bus riders were being charged not only for boarding buses, but for exiting them as well. While some are lucky enough to avoid being overcharged, others can’t get charged even when they want to. In theory, all you need do to board a bus or move through the turnstiles is tap your Ventra card once against a card-reader. But, in practice, it’s never quite clear what’s in store for you — or for all those similarly anxious folks waiting in line ahead of you. Will it take four or fives taps before have the green light to board? Will it say “processing” indefinitely, as you wait awkwardly at the front of the bus? Will it stubbornly bark “Stop!” when you tap it, even though you just loaded money onto it? Or, miraculously, will you be able to stroll through the turnstiles in seconds and go about your business? With Ventra in place, its a gamble every time Chicagoans try to board a train or bus — a gamble that, as a quick glance at tweets tagged with #VentraVents confirms, much of the city is losing. There have been system-wide outages where Ventra shut down for hours, thereby depriving the CTA of large sums of revenue. There are still tens of thousands of people who haven’t even received their Ventra cards in the mail — though they were promised them weeks ago — whereas one man received over 100 cards in a matter of days. Then there’s the fact that the “optional” credit/debit cards built into Ventra passes are riddled with hidden fees that even CTA officials have a hard time understanding. Thus far, Ventra has been wildly inefficient and costly — and even Cubic Corporation “doesn’t have a best guess” about when things might improve. Why are we being subjected to this disastrous system? What could possibly justify all of the headaches, frustration, delays and dysfunction that Chicagoans have been forced to endure because of Ventra? According to CTA, the rationale for the Ventra deal was to “make taking public transportation easier and more convenient.” Before the new system went live, Chicagoans were subjected to an aggressive advertising campaign touting Ventra as a more “modern,” streamlined, effortless way to pay for transit — “Convenience is Here!” the slogan went. But the promises of convenience and modernization have proven to be window-dressing for a privatization measure that promises to hand over a chunk of (formerly public) fare revenue to private investors. Privatization’s advocates frequently go beyond talk of modernization and convenience, however. In Chicago, as elsewhere, the more potent case for privatization appeals to scarcity: there isn’t enough to go around, so selling off public assets — or “partnering with the private sector” — is a convenient way to generate revenue and reduce public expenses. Of course, the major premise of this argument — that there isn’t enough to go around — is a bald-faced lie. Corporate profits — a massive, largely untaxed source of revenue — continue to soar; in Chicago, however, officials continue to give the wealthy tax breaks and subsidies. Nationally, reducing defense spending to pre-9/11 levels would free up more than $3.6 trillion over the next decade. But given the narrow horizons of mainstream politics, these obvious sources of revenue remain out of reach and austerity is the unquestioned solution for virtually all policy debates. Thus, at a time when public transportation is consistently underfunded across the country, when hiking fares and slashing service is the norm, transit systems will continue to be vulnerable to the predations of private investors lured by the smell of blood in the water. The privatization of fare collection, in Chicago and elsewhere, clearly hasn’t increased efficiency or lowered costs — indeed, what’s happened is exactly the opposite. So why, then, were CTA officials willing to go to such lengths to promote it in the first place? And what explains their dogged advocacy for a deal that is so wildly unpopular with the public? The same questions might be asked of the fixation with privatizing education. In cities across the country, neoliberal advocates of “education reform” are pushing to privatize control of schools while continuing to socialize costs. Chicago is no different. Following the lead of President Obama and former Chicago Public Schools “CEO” Arne Duncan, Mayor Rahm Emanuel has lead a crusade to close down public schools, the better to expand the budget for privately-operated charters. But charter schools don’t produce better learning outcomes than public schools. So, the question remains: if the results of privatization are so lackluster, why is there such a fanatical push to close public schools and turn them over to private operators? In education as well as transit—indeed, in virtually all cases where selling off public assets is proposed — the explanation for the push to privatize is simple: private investors stand to gain immensely from buying, leasing or otherwise seizing control of public services. We don’t need to assign morally repugnant motives to individual investors to see why this is so. By definition, a good investment from the perspective of the capitalist is one in which there is minimal risk and strong probability of significant gain. Fare collection, like many public services on which we depend, fits the bill. It involves a steady stream of revenue flowing from transit users to the CTA. It is unsurprising, then, that Cubic Corporation lobbied so hard for the Ventra deal — after all, it ensured that they would secure a percentage of that revenue stream continuously for the next twelve years. CTA officials — many of whom have ties to the private sector — were more than willing to let Cubic get a piece of the action. The case of John Flynn is emblematic. From 2000 until 2008 Flynn was vice president of technology for CTA. But between 2008 and 2010, Flynn left his post to take up a position as manager of the Chicago division of Cubic Corporation. In his capacity as an employee of Cubic, Flynn took the lead in brokering the $454 million Ventra deal and, shortly thereafter, was re-hired by CTA to once again serve as VP of technology. Of course, there’s nothing exceptional about Flynn’s winding career path. After all, Emanuel himself bounced back and forth between government posts and the corporate world (pocketing $16 million during a two-year stint as an investment banker) before setting up shop in City Hall — a classic example of the “revolving door” between government and capital. Little surprise, then, that so many politicians prove so enthusiastic when given the chance to sell off public assets. Debates about privatization often ignore the substantive political questions at stake and focus solely on technocratic criteria such as efficiency. Efficiency is, of course, important and certainly has its place — though, as we’ve seen, privatization is rarely efficient from the perspective of public service users. But neoliberalism isn’t really ever about efficiency — it’s about re-consolidating class power in the hands of the owners of capital and restoring profitability at the expense of working people. By framing debates about privatization in terms of efficiency alone, neoliberals encourage us to lose track of the political problems that lie at the heart of these policies. One such problem with privatization is that it degrades public goods and undermines the idea that social institutions should promote the common good. In fact, privatization deals are little more than a legalized form of what we would otherwise consider corruption. Typically, a public official charged with carrying out a public service is expected not to abuse her post for private gain. An official who exploited her role as an executor of public functions in order to line her pockets would rightly be condemned as corrupt. Yet, this is more or less exactly what privatization entails—the only difference being that the “corruption” is out in the open and codified by contract. In leasing out or selling off public infrastructure, we give private investors the green light to exploit public needs for profit. However “efficient” these practices may (or may not) be, they are unjust. The primary function of the basic elements of public life — transportation infrastructure, means of communication, energy production, schools, hospitals, libraries and so on — should be to promote the common good, not to produce high returns for investors. Privatization also erodes democratic accountability. Under capitalism, it’s already hard to force governments to ensure that public services meet the needs of citizens. But privatization makes this problem more acute by radically increasing the difficulty of securing public accountability. The case of Ventra is a perfect illustration. Transit users are saddled with frequent delays, mischarges and other headaches associated with the new fare system. But rather than simply working to hold CTA accountable — no mean feat, in itself — we now have the far more daunting task of holding CTA’s feet to the fire in the hopes that they might, in turn, ratchet up the pressure on Cubic Corporation. Again, even if we could rest assured that government officials were genuinely mindful of public interests — which, clearly, most don’t — privatization creates an additional hurdle by setting in motion an unceasing tug of war between public and private interests that rarely align. There is no easy answer to the question of what can be done to protect what few public goods we have left. A labor- and community-backed ordinance that would require some basic democratic checks and fiscal accountability to privatization deals has been introduced in the city council, but it was more or less dead on arrival. Two more recent developments in the ongoing Ventra debacle, however, are potentially heartening. First, Amalgamated Transit Union Local 308 (which represents thousands of CTA workers) recently entered the debate, criticizing the Ventra deal and recommending that it be indefinitely suspended. Second, a recent public hearing organized by CTA quickly boiled over into a broad-side assault on Ventra, as livid transit users berated transit officials and denounced privatization. Neither of these developments, of course, stand to turn the tide decisively in our favor. 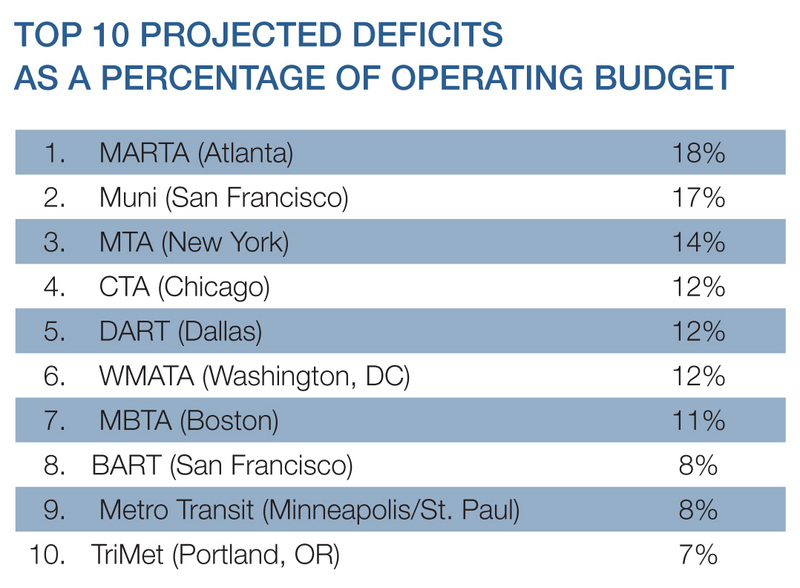 But they do point to the possibility of a powerful alliance of transit workers and riders that could fight not only Ventra, but service cuts, layoffs, fare hikes and other regressive policies. Although it has yet to take root in the battles over transit, this strategy is familiar to many Chicagoans in the education justice movement who were electrified by the Chicago Teachers Union (CTU) strike in 2012. Activists in the CTU spent years building alliances with parents, students and community activists on the basis of shared interests and a commitment to social justice. When it came time to strike, the CTU raised demands that explicitly linked its own fight to broader struggles against racism and class inequality. The result was that teachers were able to amass a powerful working-class coalition that temporarily stopped the attack on public education in its tracks. A similar coalition, rooted in social movement unionism, could unite environmentalists, left activists, transit riders, and trade unionists to push back against the attack on public transportation. The sooner the work of building this coalition is begun, the better. Because for now, hundreds of thousands of Chicago transit riders can’t do much more than cross their fingers every time they try to pay their bus fare for the foreseeable future. And it’s only a matter of time before the city announces that they’ll be subjecting us to some new experiment in privatization. Organizing against Ventra, then, is about more than reclaiming fare collection — it’s about rolling back the assault on all things public. Tyler Zimmer is a visiting assistant professor of philosophy at Northeastern Illinois University. Like so many deals before it, Chicago’s new transit privatization deal is screwing everyone but the corporation behind it.